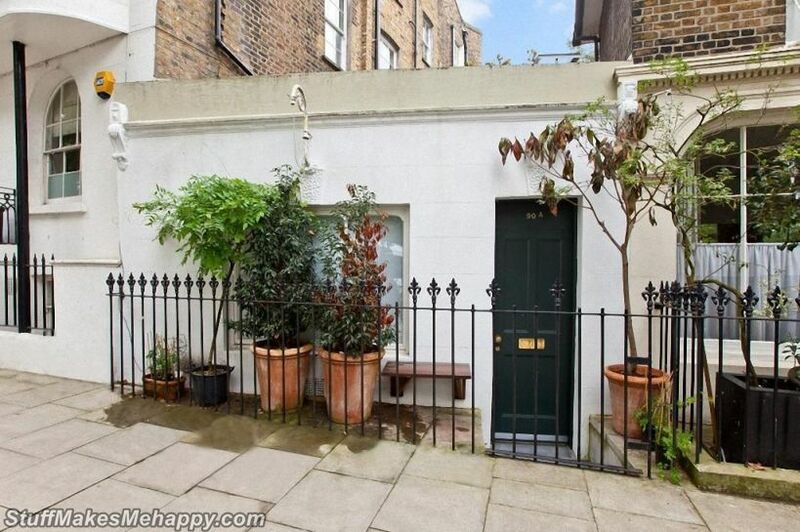 Who would like to buy a miniature house with an area of 17.5 square meters for a round amount of 275 thousand pounds sterling? No one in his mind spends such money on a dwarf house, you think. And you will be wrong. The most expensive small house in the world, on the very first day of publication of an ad on the Internet, found two interested customers. We can say that it's awesome architecture. 1. 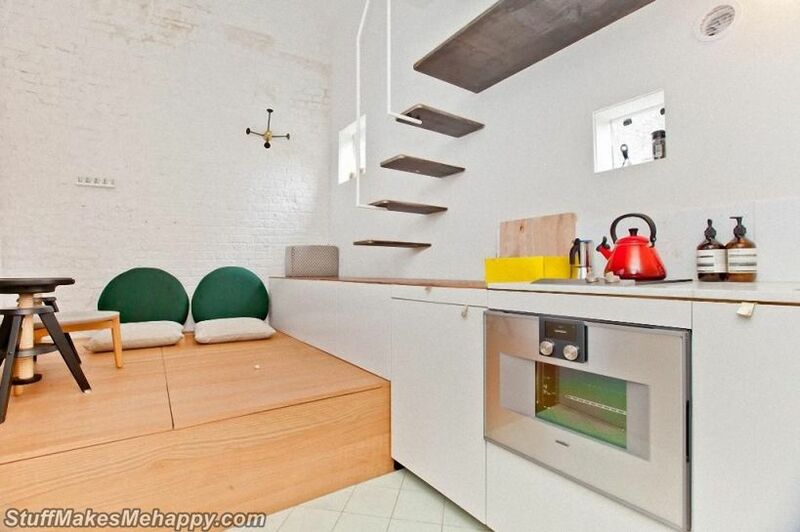 The miniature house is located in Islington, in the north of London. 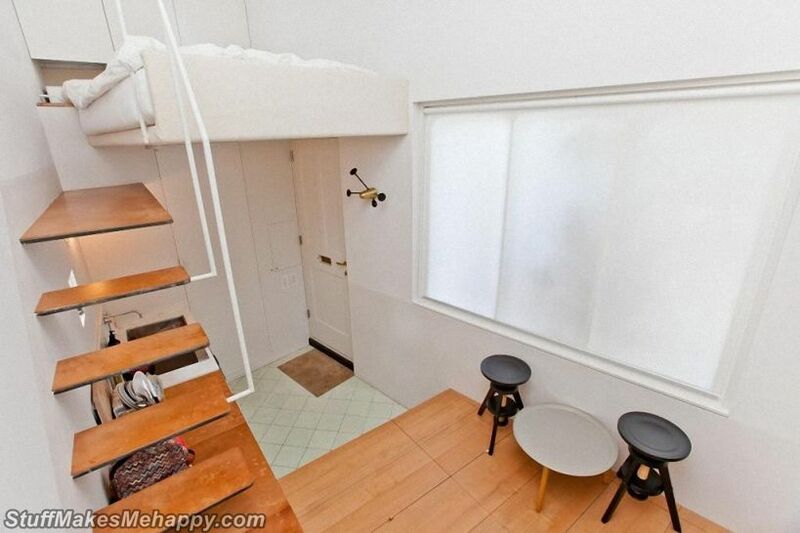 The house in the widest place has 5 meters. But there is a miserable patio. 2. Directly opposite the entrance door is the mini-kitchen, and to get to the “bedroom”, you need to climb the ... kitchen table and the "hanging" steps. 3. 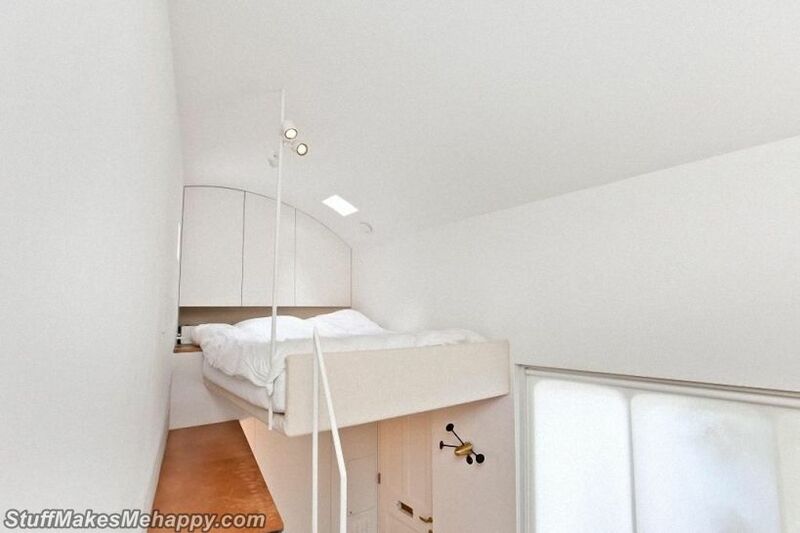 Mini-house size is more like a garage, but its small space is used very skillfully. The wooden "podium" or raised part of the living room serves as a spacious wardrobe. 4. The berth is organized on a mezzanine size: 1.73 meters wide and 2.29 m long. 5. The miniature toilet is also a shower. 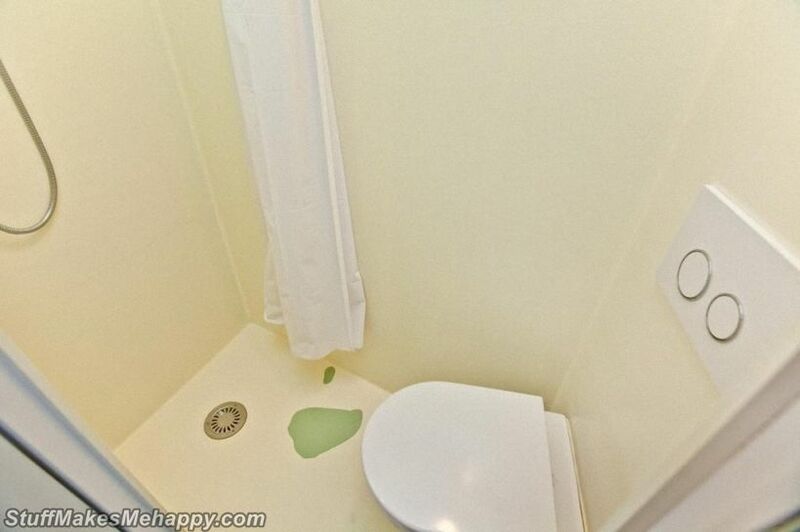 A real estate agent described this house as “unique,” and there is undoubtedly some truth in this. Most likely it will be bought by some investor and will be leased on Airbnb. According to the agent, this is a great place to sleep and a really nice house. I hope you like "The Most Expensive Small House in The World" and want to buy for your family.